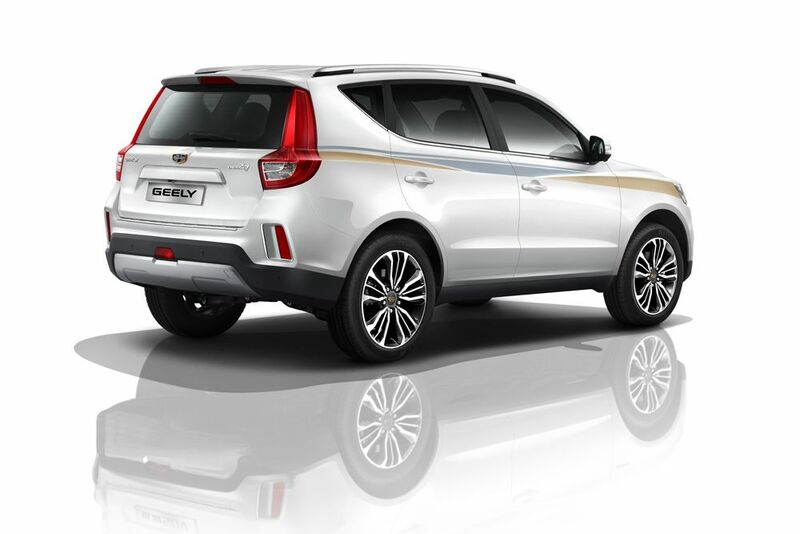 The Geely Emgrand X7 is a crossover SUV manufactured by the Chinese carmaker, and was first introduced to the public at the Beijing Motor Show in 2010. Just a year later in 2011, the first-generation Geely Emgrand X7 went on sale. Since its introduction, the X7 has gone through a few updates and a facelift or two to keep it modern and competitive in the market. As with other crossovers, the Geely X7 too became a hit and before long, Geely began to export them to other markets such as the Middle East. The 2019 Geely Emgrand X7 is a two-row, five-seat crossover, and is available only in front-wheel-drive form in the UAE. The Emgrand X7 is a decent crossover, though I believe that the slightly more expensive X7 Sport is a better buy. That said, the Emgrand X7 offers slightly more head and shoulder room than the X7 Sport. In the UAE, the 2019 Geely Emgrand X7 goes up against the likes of the Chery Tiggo7, Changan CS75, and MG RX5. The exterior styling of the 2019 Geely Emgrand X7 is slightly more understated than that of the X7 Sport. The X7’s upright stance and a taller and wider body also give it more presence on the open road, though it isn’t nearly as eye-catching as the Sport. 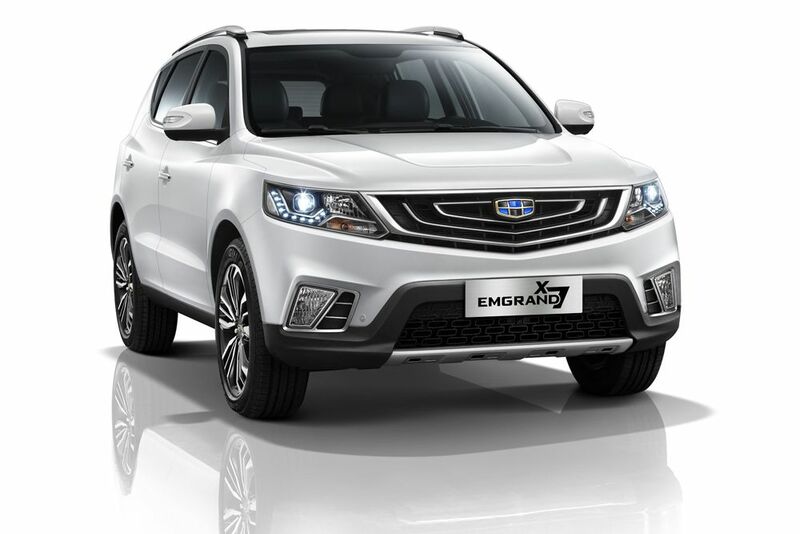 The front end of the Geely Emgrand X7 features Geely’s signature grille design, taut headlights with projectors and LED daytime-running lights, and a rugged-looking bumper with vertically-arranged foglights, a large air dam, and some black plastic cladding along with a faux bash plate. When viewed side on, the Geely Emgrand X7 looks quite smart with its stylish window line, smooth body work, the ubiquitous black cladding, restrained but arched fenders, and chic 17-inch alloy wheels. The back features Volvo-inspired, vertically-placed LED taillights, a pronounced roof spoiler, and a thick rear bumper with integrated reflector strips, a fog light, and an air diffuser/skid plate. The 2019 Geely Emgrand X7 comes in at 4.500 meters in length, 1.834 meters in width, 1.707 meters in height, and has a wheelbase that’s 2.661 meters long. Its total boot capacity is also much bigger than the X7 Sport’s at a cavernous 580 liters. The 2019 Geely Emgrand X7’s interior, just as with its exterior, is less flashy than the X7 Sport’s cabin. It might not be as trendy as the latter, but this cabin too has been well thought-out and ergonomics are a nonissue as well. The quality of materials isn’t the best-in-class, though build and fit & finish are quite strong. The Emgrand X7 offers great room for five adults, offering acceptable levels of comfort and refinement. The Geely Emgrand X7’s features list includes electric sunroof, parking sensors with rear camera, leather upholstery, automatic climate control, cruise control, keyless entry with push-button start, and a 7-inch touch-display with navigation. Among its safety tech are 6 airbags, ABS with EBD and brake assist, hill assist, and traction and stability control. The 2019 Geely Emgrand X7 houses a 2.0-liter naturally-aspirated four-cylinder petrol engine that churns out 140 hp and 170 Nm of torque. This mill engages the front wheels via a 6-apeed automatic torque converter. The 1.5-ton Emgrand X7 takes an anguishing 13.5 seconds to finish the 0-100 km/h sprint, while top speed is 175 km/h. The X7’s average fuel economy figure is quite poor at just 9.3 L/100 km.